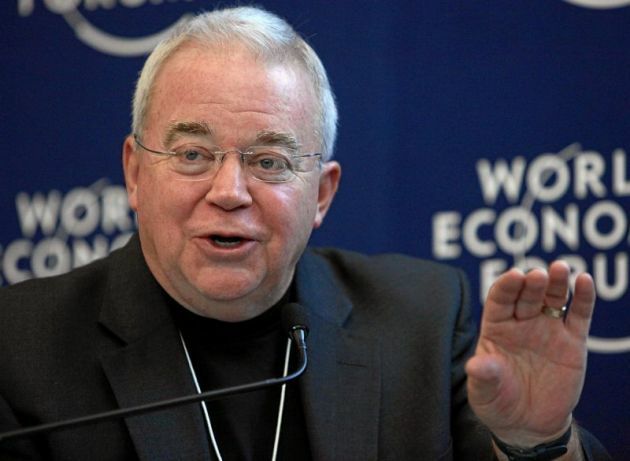 Two evangelical Christian leaders, Jim Wallis and Hershael York, have told National Public Radio that there is a crisis of spirituality in the current political climate of the United States under the presidency of Donald Trump. NPR host Michael Martin noted in the interview he surmised from Wallis's writing that he believes that Christians' support for Donald Trump is something of an ethical challenge for Christians. Political activist and writer Rev. Wallis replied, "I think these issues are much deeper than politics. Many of us feel politically homeless these days, But the racial divide is of deep concern to me. "So, when white evangelicals say to black evangelicals, I didn't vote for Donald Trump because of his racial bigotry but because of other issues like the ones you mentioned, the response often back from black evangelicals is, so his racial bigotry wasn't a deal breaker for you, I guess? And we're really having to repair that divide." Martin asked York, if he agreed there is a crisis among American Christians, and he believes that plays some role in that? "Yes. I think we are in danger of, as evangelicals, losing influence for the gospel's sake really for a generation because of this uneasy alliance," he replied. "And we want to be faithful even though we're serving someone who is not in agreement with us. But the other narrative we can put on it are the Pharisees conniving with Pontius Pilate. "The question is, is it collusion, complicity, connivance, or is it capitalization on a unique moment in history to shape the future through judicial appointments? It's a really difficult moment for evangelicals." York was asked why he thinks that so many white Christian evangelicals supported Donald Trump and Roy Moore who is standing as a Republic Party candidate in a Senate election contest in Alabama. This is despite calls from his GOP (Grand Old Party) office bearers for accused child molester Moore to stand down and his refusal to so while he is now getting full backing from accused molester of women, Trump. "Well, I think that in their minds, they've made a - basically a prioritization of issues. And for a lot of evangelicals, the abortion issue is the number-one issue. "And so, they are willing to make peace with any flawed politician who will fight abortion and stand for other things. "I think the rapid change on the gay-marriage issue and a lot of evangelicals felt like there was really an undue pressure to go beyond simply understanding that this is now in society to having to accommodate it and - against one's own personal convictions." When Wallis, the editor of Sojourners magazine, was asked why he thinks so many evangelicals, particularly white evangelicals, are supporting Donald Trump. He replied that the polling he had seen shows something different," that most white evangelicals are supporting Donald Trump because of immigration. "They're angry toward immigrants or guns or, as evangelical pastors often tell me, I've got them for three hours - two hours a week and Fox News has them every day. It's that agenda. It's a political agenda." Wallis added, however that Pastor York is right, that they care about things like abortion and marriage and family, "but even there, to have Donald Trump as a champion for those things is rather incredible. "This man as a defender of marriage is quite ridiculous. And, in fact, this president-supported-and-Republican-passed tax bill just now will hurt poor families, taking away food and education and health care. And the abortion rates will go up. I believe in a consistent ethic of life."